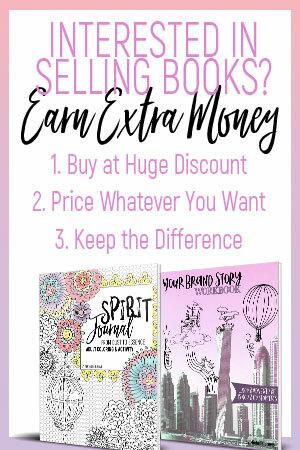 This is part of a series on putting together a Business Plan for Bloggers, so let’s get to know our readers, customers, and our target market! 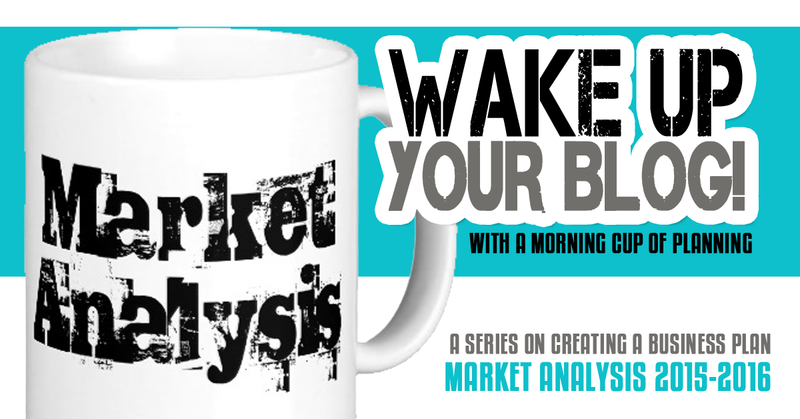 The Market Analysis section of a business plan takes a look at your target demographics and tries to forecast and configure basic behaviors to better understand your customers and readers, more specifically, what they want and need. The best places for numbers are your own insights and analytics from your blog and social media. These will tell you everything you want to know about YOUR readers in particular. Sometimes, more information about the internet as a whole might come in handy for planning or obtaining funding. Here are some general statistics and information. When researching the basics of “Who is reading blogs,” keep in mind that you want the most current data available. The internet is changing faster than we can count. 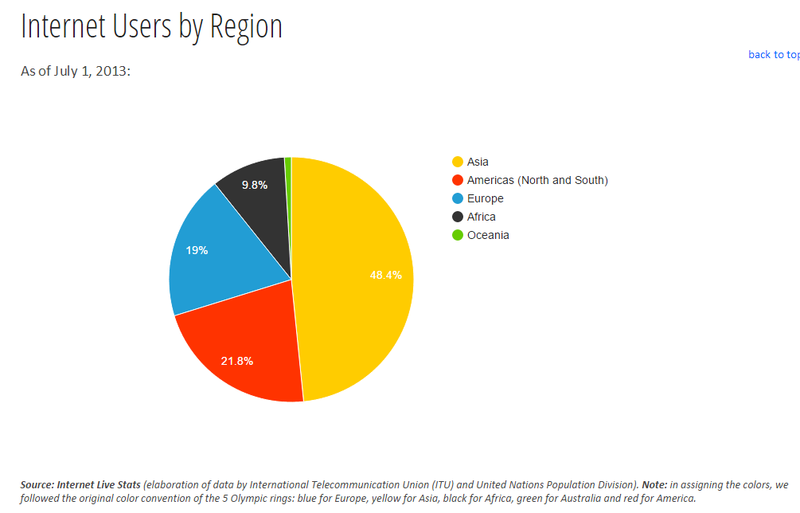 According to Live Stats, “Around 40% of the world population has an internet connection today. In 1995, it was less than 1%. 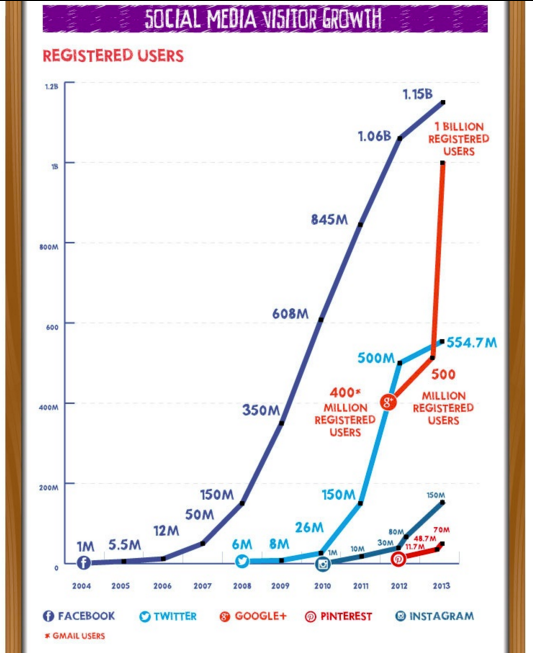 The number of internet users has increased tenfold from 1999 to 2013. The first billion was reached in 2005. The second billion in 2010. The third billion in 2014. 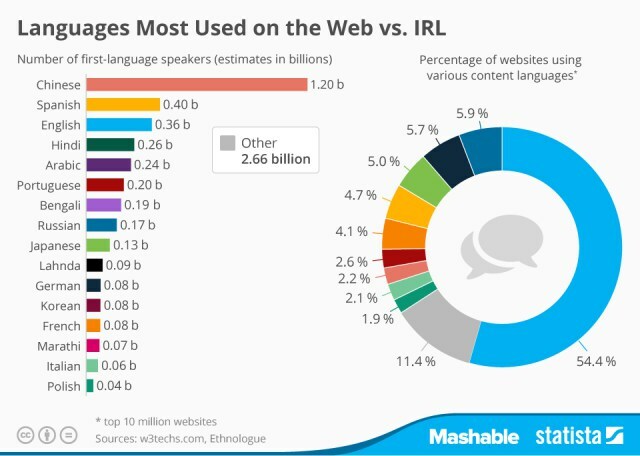 The top countries using the internet are, respectively, China, The United States, India, Japan and Brazil. The CIA has a wonderful Fact Book to get to know the gist of what people are doing by country, which is great information if you are delving to reach a market outside of your own geographic location. You can find summary information on Geography, people, government, economy, energy, communications…. The Bureau of Labor Statistics also provides quite a few tables and a summary, but one table that seems interesting is a break down of recreational time which consists of reading (if you are writing in books) as well as computer time and socializing. Wage tables show income for area, occupation, demographics, and industry. Forall the statistical data from the BLS. For a general idea of what kind demographics are reading the top blogs of the industry; however, you can tell by findings that blogs are very NICHE and each blog reaches its own demographic. In essence, there are just as many blogs as there are demographic differences. Senior Planet made a key observation in analyzing Pingdom’s article. 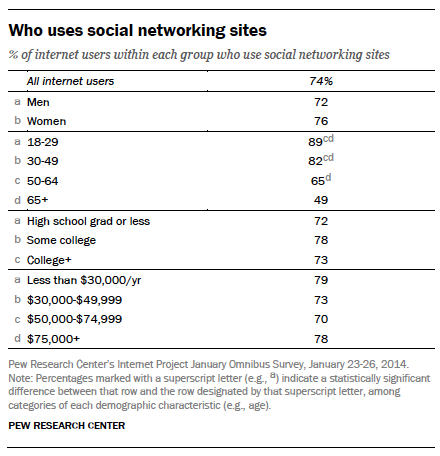 Older people gravitate toward more serious and conservative sites like politics, finance, and discussion based blogs. Younger readers go for light-hearted, brash, and celebrity gossip. Short attention spans –> Readers. 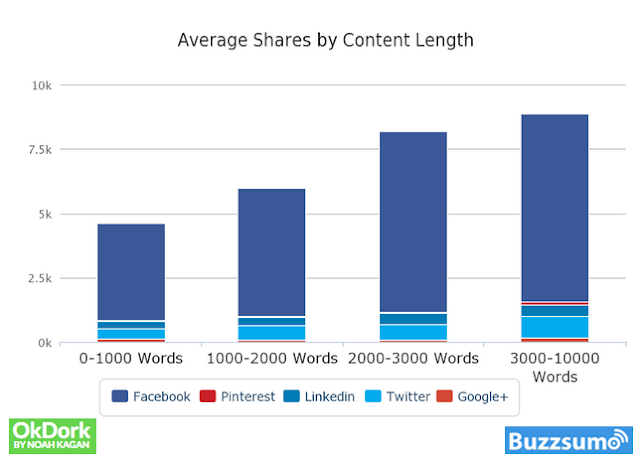 According to Copypress, 2,416 is the average words for the top ranked posts in Google. Speaking of quality content, Neil Patel did A/B testing on his site and found that his homepage with 1,292 words led to more leads – better leads – than a second webpage with only 488 words. In addition, longer content got more shares (and were emailed) than shorter content in this study. The key is to provide useful information that actually solves problems and answers questions. Most people Google for a quick answer, but they also want a useful answer. But the same article suggested that the average attention span per user is 9 seconds. Other places say it’s more like 4 seconds and decreases every year. Providing informative blog posts where an answer can be found in 9 seconds or less is a daunting task, but that’s what readers want. The magic number for lists is 10. Trust is also very important, so a byline and bio are important components to each post. The experts say to offer a picture every 100 – 350 words (depending on the source). This helps break up text and remove the overwhelming nature of text on the screen. 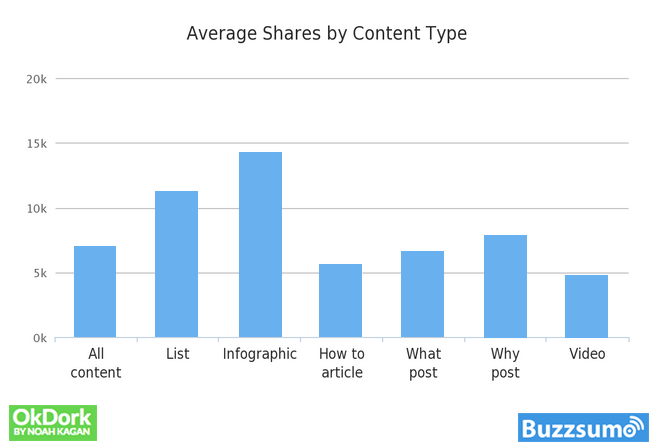 To entice sharing from your blog and social media, the image is important. It’s the first impression. When sharing a post link, the image attracts clicks; however, sharing an image with a link to the post might expand social media virality. For this reason, you want something people want to share. In addition, it’s important to pay careful attention to copyrights and usage. Miscellaneous graphics — images that complement the content. In taking your own photographs, try to mentally draw a tic tac toe board over the picture and aim the center of the focal point at one of the points where two lines intersect. You want the focal point to be the major emphasis, so try to de-emphasize all the other objects. Real Life Photographs (as opposed to stock photos) seemingly increases trust and are gaining popularity according to AdAge. Instagram type photos are doing better than stock like photos because of the realness. Pretty much all shared content and clickable content conveys some sort of emotion. 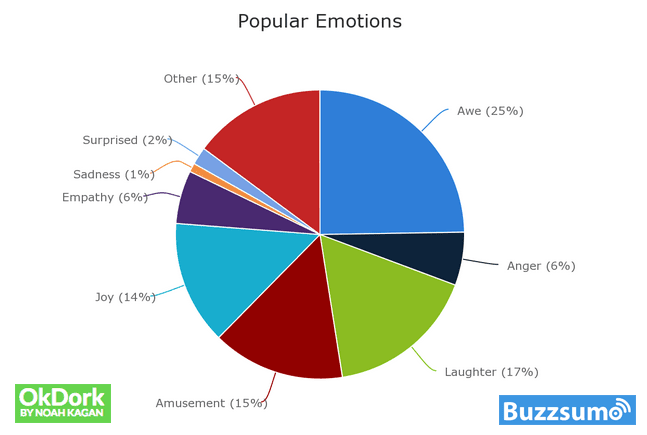 Okdork’s study showed the following emotions conveyed in 100 million pieces of content that was shared. Jeffbullas.com has some interesting statistics about usage rates of each social media with an awesome infographic. 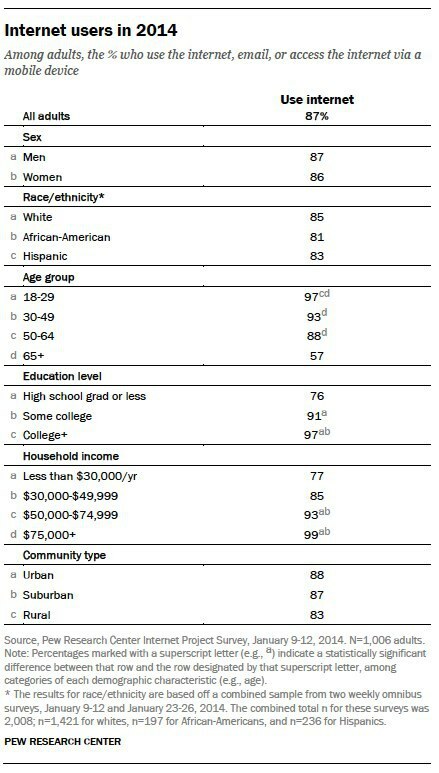 This is the who and the where of social media users. The takeaway is that all age groups are starting to use social media, so you are safe to use social media for all ages. Facebook and Google Plus and Twitter seem to have the most users, but the question is, how influential are the posts and how much time do users spend on each platform? Because of the high usership, you want to hit those social media channels, at least have some presence in those places. Facebook and Twitter are starting to moderate (though Facebook will probably continue to grow). The curve went up and is now going across. Google Plus, Instagram and Pinterest are just beginning to rise. It will most likely go up some more before leveling out. In social media, the biggest influencers are usually those who have been there the longest with fierce activity and penetration into that outlet. If you are going to create any social media plan, you want to pick one of the three growing to pursue as active as you are the ones that have already grown. But keep in mind the strongest social media is probably still going to continue being Facebook. Pingdom says Facebook is steadily approaching to be the largest country on earth. It just keeps growing. 1.15 billion users! If you don’t mind spending money on information, this website provides almost everything at a price. To gather information on your own insights and analytics, check out my Free Word Template to create some charts of your information all in one place for multiple channels. Please feel free to Pin this!